The Internet of Things (IoT) has changed the way we live our lives in many years. While divers amounts of these changes are significant, you must also be aware that not all of them are so great. For instance, the IoT has increased the number of cyber attacks we’re faced with today. 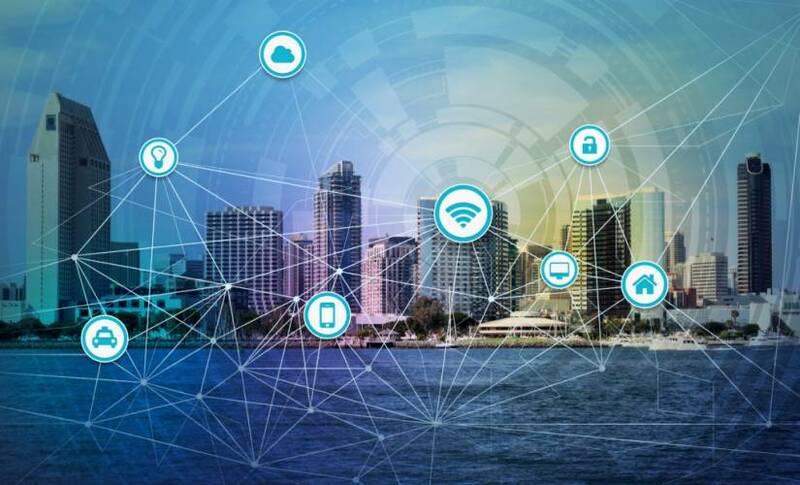 Believe it or not, there are many ways in which IoT has exposed business organizations to cyber attacks — ways you must be aware of to keep you and your home and business safe. Jax Enter (platform dedicated to software developers and architects), says that because everyday items are now connected to the Internet, it’s easy for them to be hacked. This hacking occurs in the same way that your computer can also be hacked. Some erroneously believe that this “side hacking” seems very unimportant. You wouldn’t think that there’s much information that can be gleaned from your home — that someone could get from things like your microwave — but the threat runs much deeper and is more profound. How many cameras or microphones do your home appliances contain? When you think about the IoT items throughout your home that contain cameras or microphones begin considering how these devices may be compromised. It’s also important to think about how an external threat could have a mass impact. An example of this would be everyone in society having their alarm clock hacked at the same time. Connected devices are things we have never had to worry about in the past. Adjusting the settings on your IoT. Knowing when you should take a device offline. Traditional ransomware attacks are typically found on PCs and servers, where they infect the device by encrypting key data than asking you to pay a ransom for it to be unlocked. IoT ransomware attacks are also starting to emerge. Fortunately, you can use data backups to restore your device and save yourself from paying the ransom. Unfortunately, this isn’t something most people do on a frequent enough basis, so this remains a profitable criminal enterprise. The ransom attack is meant to completely lock you out of your devices. IoT ransomware attacks don’t contain much meaningful, sensitive data. Traditional ransomware attacks are redundant to mention here. Because usual attacks happen often and are now being guarded against in a better way, attackers are focusing on these attacks to lock you out of your device completely. While this seems more inconvenient than anything, it could have significant consequences, e.g. What if you were locked out of your home’s smart thermostat during the dead cold winter weather?What if businesses had no control over the thermostat that’s responsible for their refrigeration units? What if a data center lost control over their air conditioning system? Once you stop to think about these and similar types of consequences you can clearly see and understand the motivation behind this type of a ransomware attack. External threats aren’t the only thing you have to worry about today. When you’re operating a business that has IoT devices in the workplace, you must also concern yourself with internal threats. It’s possible that some of the employees you’ve hired because you think you can trust them want to rig your system. There are many reasons why people may want to do this. For instance, you may have a locked room with restricted access in which you store private information. While you may have given some of your employees’ key card access to the room, any savvy, witty employees who want access to that room can manipulate this ID process. Internal threats are always malicious in nature though. Once your employees have the desired access, they may unwittingly or knowingly provide information to other employees. Even those employees whom you’ve to give privileges may still make a simple technological error. The consequences are so broad that the warnings need to be heeded. It’s essential for everyone who works in your office and interacts with IoT devices to receive the proper training, so they understand the impact of their actions (e.g., downloading dangerous files). You can’t overlook the damage that ex-employees can also do. Whether you’ve fired someone or they’ve willingly left your workplace, they can still choose to cause severe damage to your business. This is why you can’t only focus on managing your IoT from a technological standpoint. You must also pay attention to the people who work for you, especially those who come into contact with your company’s sensitive data. If any of them want to harm your business, it’s up to you to intervene before they’re able to do so. One way of doing this is by quickly managing the permissions and access points disgruntled employees have prior to you terminating them. IoT can also be enlisted to help you manage your workforce. When putting this IoT into place, it can alert you faster than any of your human managers when something is going awry. This IoT manager can be set up to be able to use analytics to flag certain behaviors. For instance, you can set it up to alert you when an employee downloads your company’s sensitive information to their personal computer, especially if this is happening during non-working hours. Cyber Threat Intelligence can protect your device from nefarious attacks. The protection offered by threat intelligence is why you should always adhere to the manufacturer’s security instructions, including remotely updating or patching devices when necessary. Following these “install” details with exactness will help you maintain the safety of your information both now and in the future. You can’t overlook your physical security, neither should you overlook the physical security of your equipment. When you are buying new hardware, it is especially important to make sure they contain tamper-proofing measures. Keep all of the information and the equipment safe via permissions and other safety measures. Have an expert (or yourself) prevent your hardware from being accessed and decoded. This type of protection is something you can do yourself — by including things like physical switches to turn off features (e.g., a mute button for microphones). Always make sure you have security protocols in place (e.g. HTTPS:) before exchanging any data between your IoT device and backend management or storage solutions. These protocols of safety should be alongside that of secure authentication methods. Additionally, make sure you immediately change any default credentials that came with your device — so you’re using strong alphanumeric alternatives instead.